What's that you say? That DSP and a few embellies are "retired"? Well, that my be the case, but sometimes you just have to go with what inspires you. The simple reality is, I have a LOT of stampin' supplies in my arsenal that are just-plain-neglected. As much as I want to share the latest and greatest, all the time...sometimes, it is just a GOOD thing to just go with the creative flow. Retired items or not, I just LOVED creating this card! I got the inspiration for the "hook" on the ornament from the NEW 2011/2012 SU! Idea Book and Catalog (page 40, to be exact). How cute are my "dapper dudes"?? Accessories: Ornament punch, Word Window punch , Modern Label punch, Scallop Border punch, Square Lattice Embossing folder, Perfect Polka Dots embossing folder, Old Olive Grosgrain Ribbon, Very Vanilla 1/4" Taffeta ribbon, Silver Elastic cord (ret. ), Clips Assortment, Real Red Corduroy buttons (ret.) and Stampin' Dimensionals. Thank you for giving me some Christmascard inspiration! Oh I have many retired sets/dsp and ribbon that i will never get rid of! I love all the layers and variety of pattern. Thanks for all the inspiration! Great card as always, you just put everything together so well. I was hoping it might cool me off here in North TX, but guess I will have to use the AC :) The pool is 95, told hubby to add jets to the pool. Have a great BBQ, but it will be great. Wow, this card is beautiful, and so much detail, just gorgeous. Your Christmas card is bright and cheery. Great LO, too. I see you love animals. I'm an animal lover as well. Anne Marie love your card and the colors are Terrific! I think the ornament stamps are one of my favorite all time items. LOVE them and matching punch. Hope you July holiday is a good one but I think many of us are have record heat waves! Hard to think snow... Hugs. OOOppss wanted to say those pups are ADORABLE in their holiday garb! Super fantastic Christmas card! Love all those layers too. So very pretty. The pups are looking ready for that BBQ - yall stay cool. So many fabulous details with this one, Anne Marie! I LOVE the bling! And the boys look so dapper! I had to keep Muffy Lin away from the screen! PS Your pups are adorable all decked out! Awesome card. Love the rhinestones and layout. Now I think I finally have to cave and get that ornament set! Your dogs are too cute! I've got a schnauzer too, but she's brown! Loved seeing the pics of your sweet pups! Look at how sweet Ozzy's face is!!! I lub him AM. Great card, fabulous layers and colours. Who cares if it is retired, it is STILL fabulous! Hope you had a swell BBQ. What an amazing card, Anne Marie! I love all the details you have added. Ozzy and Emmitt look like they are set for some BBQ fun! Fantastic Card, Anne Marie! Love the colors and different layers. your card is amazing Anne Marie ~ all those layers and the colors are stunning ~ and yes, the gals at PP are the best ~ enjoy your day ~ Happy 4th of July!!!! Such a lovely Christmassy card Anne Marie ... I love all the layers, and the sparkle of the glimmer paper and rhinestones ... this is a beautifully balanced and well designed card ... I love it to bits!!! The colours and layering on this card are fab. This is 'buh,buh,buh,beautiful' (my best Bing impersonation:) Sorry! I think I felt a little cool breeze blowing as I viewed your card! But seriously, this is fabulous with all of the layers, color, and of course the bling just sets it off perfectly. Hope you have a wonderful 4th of July BBQ with all of your friends and family! Your babies look so handsome! Fantastic sketch! Now that I am home from vacation I may be able to play along with this challenge! No, no, no... no Xmas card until the middle of December.... I am so jealous... This card is stunningly breathtaking inside and out! The ornament and those bling.... awwwww... jaw dropping.... and those pretty colors!! You must be exhausted from the fun-filled weekend!! I know I am! Hehhee... And your little boys must be as well.... They are so cute in those pix! Give them some belly rubs for me. xoxo..
Sweet card, sweeter pups! Hope you had a fabulous 4th! Where to start... love the card!!! Fabulous use of the DSP and I love all the tactile elements! What an awesome card! 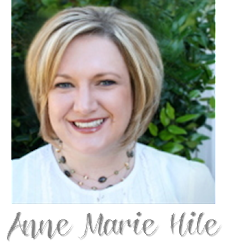 Love everything about it Anne Marie! That layout really rocks...your fur babies are adorable too! I hope you had an awesome 4th of July!!!! okay... first your card is just fabulous and second... your dogs are just way too cute!! You even manage to make Christmas cards bright and happy! Fantastic card AM--love all the layers and sparkle. I'll bet this baby is HEAVY!! Great idea for the ornament hook and I ADORE that delicious layered bow! FABulous, my friend! First, the boys look dashing! I love the papers you used. I have a bit of a stash of these left and as much as I love them, I hate using them. Does that make sense? I guess I just want to hoard them. I love all the details, especially the little hook, on your card. What a great shot of sweet little Ozzie ... he's just tooo cute. And as for Emmitt being stubborn ... what an unusual quality for a Schnauzer??!!!! Your card is definitely case-worthy, AM and might very well be inspiration for my Christmas cards this year. Oh My Gosh I love your fur pups. Their bandana's are so festive and make them look so handsome.